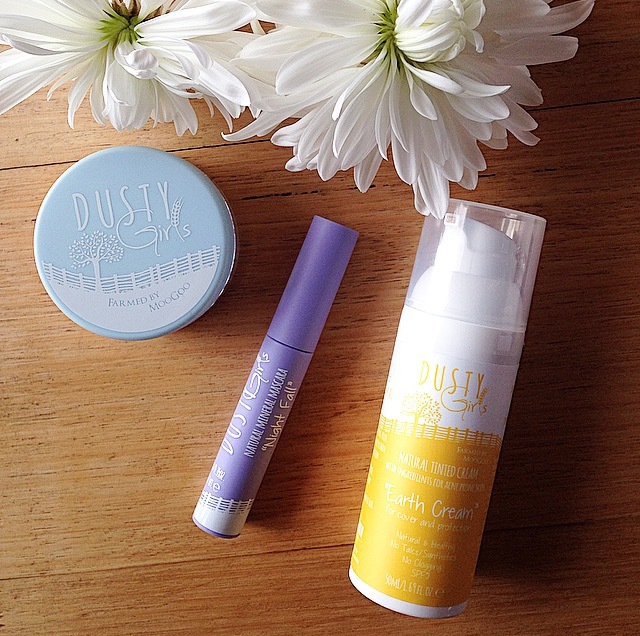 Dusty Girls is a relatively new natural makeup line farmed by Moogoo; a skincare brand that has a large following in Australia and beyond, and a brand that I personally have loved for years. Moogoo have created Dusty Girls to look after our skin with makeup that is healthy and safe, and makes us glow! "Have you ever noticed how after a day in the country your skin always looks great? It might be a bit dusty, but the colour and tone is always better than after a day in the office. This inspired us to use the clays and minerals of the earth to improve our skin tone - without chemicals. Turns out we needed some extras to help it last longer and to improve coverage, but we still made sure it was natural and healthy for your body and skin." I was recently given the chance to try out a few products from the range, and I have shared my thoughts below. I was so excited to try this product out. I am always searching for the perfect tinted moisturiser, and this seemed to fit my product criteria. This Earth Cream provides light coverage (enough to even out your skin tone and to blur any blemishes), without giving a cake face appearance or feeling thick on my skin. It looks so dark (the light shade) on my finger, but even after I have applied two layers, it doesn't look dark or orange on my pale skin. 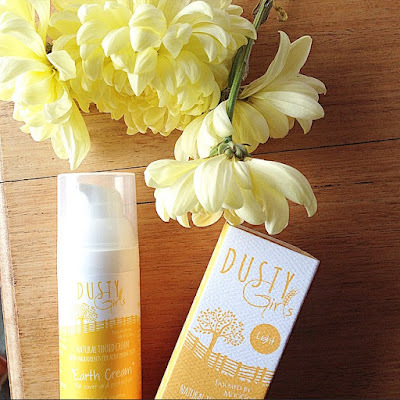 Dusty Girl's Earth Cream feels so silky on my skin, but doesn't contain any silicone or other pore clogging ingredients. In fact, it contains ingredients amazing for acne-prone skin, such as Nigella Sativa and Manuka Tree Leaf Oil, so it not only just conceals any skin imperfections, but actually improves your skin over the long term. I have noticed since I have begun using this cream that my skin tone looks a lot more even (even without the cream on), and I have been breaking out less. Success! I recommend that dry skin types, like myself, apply a hydrating face moisturiser/oil before this tinted cream to prevent any dry patches. Ingredients: Aqua, Butyrospermum Parkii (Shea Butter, Aloe Barbadensis Leaf Juice (Aloe Vera), Titanium Dioxide (Food grade), Coco Capyrlate (Coconut Derived Silky Feeling Emollient), Cocoglycerides, Cetearyl Alcohol (Food Grade Emulsifier), Taraktogenos Kurzii (Chaulmoogra Tree Seed Oil), Nigella Sativa (Fennel Flower) Seed Oil, Leptospermum Scoparium (Manuka Tree) Leaf Oil, Wheat Amino Acids, Palm Glycerides, Glycine Capryloyl (Amino Acid in Skin’s Oil NMF), Magnolia Acuminata Bark Extract, D Alpha Tocopherol (Natural Vitamin E), Olive Butter, Glyceryl Caprylate, Xanthan Gum, Polysorbate 60 (Food Grade Emulsifier), Magnesium Aluminum Silicate (Clay Base) p-Anisic Acid (Anise Derived Preservative), Sodium Stearoyl Glutamate (Glucosed Derived Emulsifier), Brown Oxide C33-115, Yellow Oxide C33 - 8073. I received this foundation in Fair Minerals with Sunset Tones, which suits my pale and cool toned skin. I applied it after the Earth Cream, to create greater coverage and disguise pesky blemishes. This foundation feels really nice applying it with a kabuki, but the best thing is that you can't actually feel it on your skin. 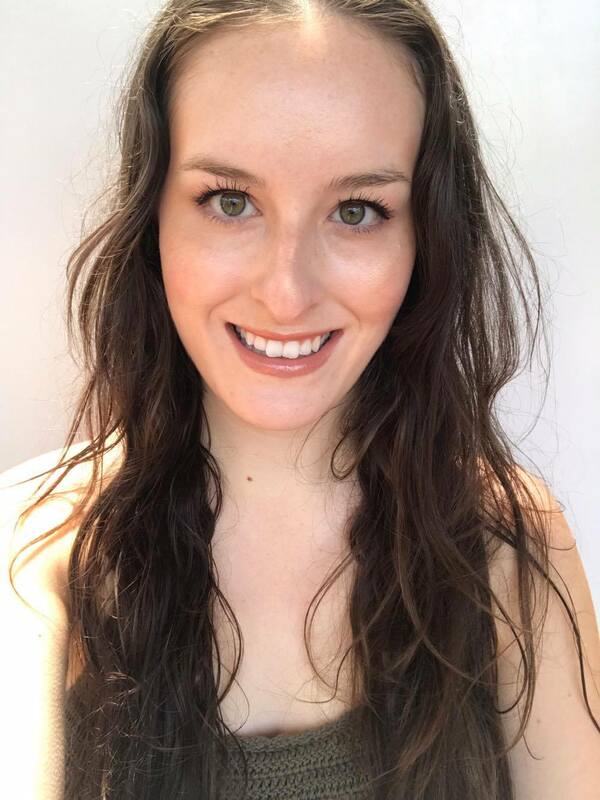 Goodbye to foundation that feels like a mask on your skin! It is also the first time that I have picked the right colour foundation right off the bat! As with any other powder foundation, make sure that your skin is well exfoliated and hydrated prior to applying, to ensure the perfect canvas. 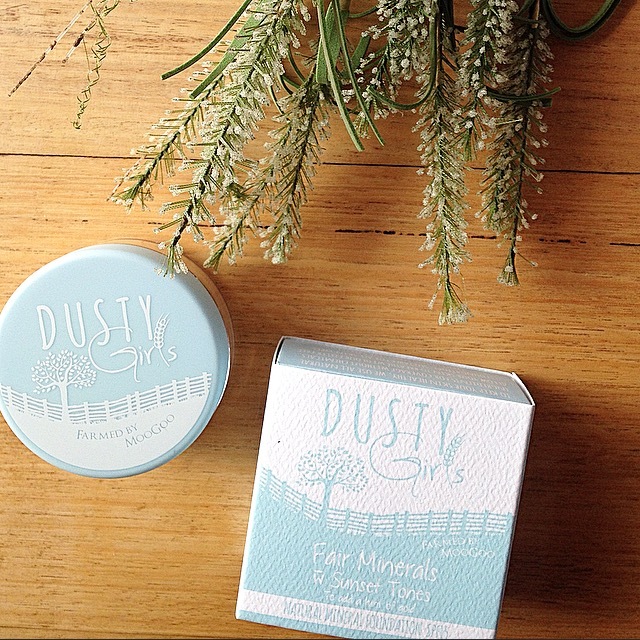 If you have problem skin one of the most important steps you can take towards clearer skin is to switch from clogging liquid foundations to a totally natural mineral powder, like this one from Dusty Girls. This foundation doesn't contain any pore-clogging silicones, chemical UV filters, penetration enhancers or chemical preservatives which can all irritate and break skin out. Instead, Dusty Girls uses natural ingredients such as Zinc Oxide, which is anti-inflammatory and healing to the skin. Ingredients: Mica, Zinc Oxide, Titanium Dioxide, Iron Oxides, Ultramarines, Tin Oxide. This mascara is perfect for all you beauties out there that are searching for a naturally derived mascara that gives a natural look, and does not clump or flake. 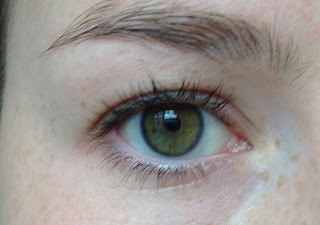 Dusty Girls uses Acacia Gum instead of Tar as a food-grade alternative that gives a black colour without eye irritation. 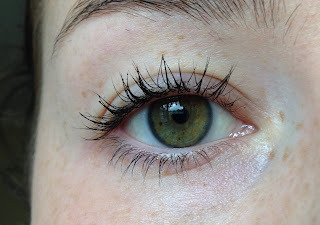 I found this mascara to last all day, with only a tiny bit of smudging underneath my eyes (something I have experienced with all truly natural mascaras I have tried thus far, and easy to swipe away). 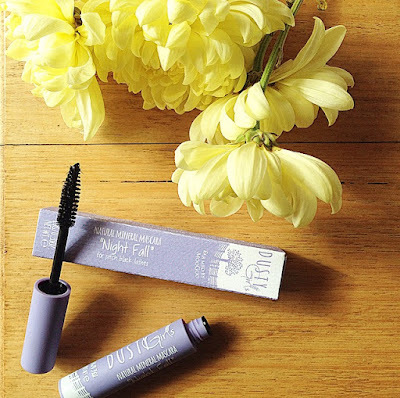 I love how easily it removes with just water of a night too; no need to break out the strong chemical eye makeup removers! Ingredients: Water, Glycerine*, Alcohol Denatured, Acacia Senegal Gum, Cetearyl Olivate, Sorbitan Olivate, Sucrose*, Cetearyl Glucoside, Cetearyl Alcohol, Ricinus Communis (Castor) Seed Oil*, Simmondsia Chinensis (Jojoba) Seed Oil*, Copernicia Cerifera (Carnauba) Wax*, Cetyl Alcohol, Citrus Grandis (Grapefruit) Fruit Extract, Chondrus Crispus (Carrageenan), Kaolin, Mica, Iron Oxides (CI 77491, CI 77492, CI 77499). *Certified Organic.